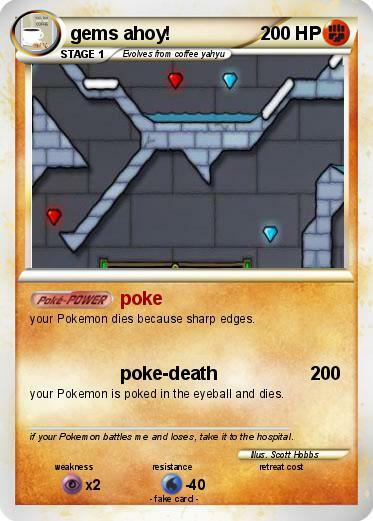 your Pokemon dies because sharp edges. your Pokemon is poked in the eyeball and dies. Comments : if your Pokemon battles me and loses, take it to the hospital.